It started with a scream. 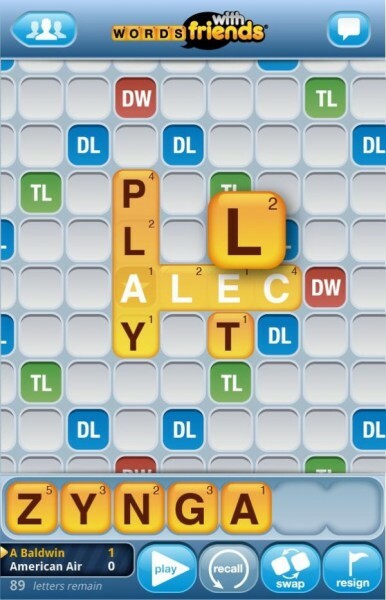 It was 6:00am on Tuesday and I was jolted out of a dream about whipping Alec Baldwin at Words With Friends. Believe me when I tell you that dream would have been a lot more fun than what was actually happening in my bed. I immediately jumped to attention. Alert but very confused, I felt like a Kardashian at a spelling bee. Initially I assumed the scream was BC in his crib. But after a moment I realized that the scream was my wife, who had somehow tweaked her neck while sleeping and pinched a nerve. I had a feeling a very long week was in my future. Maybe I should be a psychic. Over the last couple of years, I’ve become pretty good at taking care of the Little Dude. He’s pretty low maintenance, other than the diaper changing business. And the uber-picky eating. And his lack of an income. OK, maybe I should say he is generally very easygoing and adaptable. What I’d forgotten about was taking care of my wife when she isn’t 100%. Unlike me, my wife is not a big complainer when she doesn’t feel well. In fact, I generally have to force her to take medicine or rest when she doesn’t feel well. Me? If I sneeze three times in an hour, I’m getting a blanket and becoming one with my Tivo for two days. Or at least that’s how we used to be before the baby arrived. BC BC, if you will. A big part of parenting is being selfless. Even when you don’t feel well, you still have a job to do. The problem arises when you just can’t do that job. I could see it was going to be a difficult adjustment for my very active wife who suddenly couldn’t move her head, let alone lift our 35 pound bundle of kid. 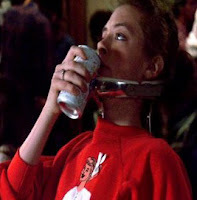 I know it’s not funny, because I’ve had that kind of injury and the pain is excruciating. But she did remind me a little of Joan Cusack in Sixteen Candles. Much cooler, however. So back to 6:00am, it became obvious that her pain was pretty severe, so I did the only thing I could think of at the moment. I Wikipedia’d “Pinched Nerve”. 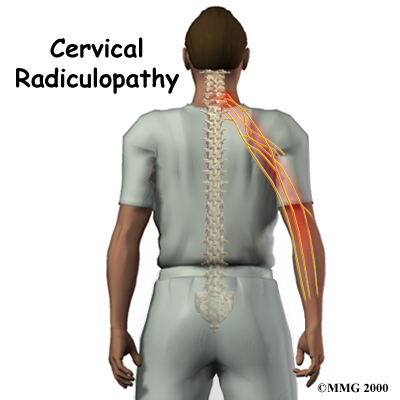 Did you know that the medical term for a pinched nerve is Radiculopathy? Perhaps they named it that because it's a ridiculously annoying problem to have. Since Wikipedia was no help, I did the next best thing. I emailed a doctor friend to ask for advice. Doc said to alternate heat & cold on the area and take Advil. As I looked at my semi-immobile spouse I realized I was unexpectedly now on full-time BC duty for at least the next 24-72 hours. I told you I should be a psychic. Our family has a unique arrangement. My wife usually takes care of the Little Dude in the mornings up until nap time. I come home once he’s sleeping and she goes to work. Sometimes we even have time to say hello as we cross paths. Then I am on duty from the time he wakes up until bedtime. Hopefully he naps for 3 hours so I can continue working. When he doesn’t, I unplug the monitor and hope for the best. I’ve never been a great juggler, but this week I think I did OK. Each day I would take BC out for some exercise (which somehow always turns into a better workout for me than for him), make sure my wife had ample amounts of Advil & rest and keep up with my own emails at the same time. Needless to say, I can’t remember ever being so tired. 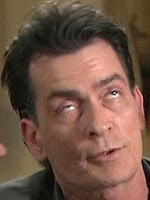 After three days of this schedule, I felt like a post-Burning Man Charlie Sheen. Fortunately, each day she felt a little better. By Friday she could lift BC again, so I could finally get back to my regularly scheduled programming. I felt like a champ for having weathered the storm and was looking forward to a relaxing weekend with a (finally) healthy family. Until my wife called me that afternoon to tell me that BC woke up from his nap covered in hives. 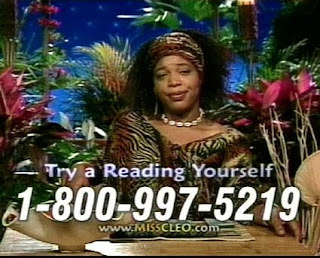 Maybe I'm not ready to take over for Miss Cleo just yet. You seem like a VERY good husband! And dad! Thank you Nina. Too kind! Thanks, Lance! Have a great weekend. "Alert but very confused, I felt like a Kardashian at a spelling bee." Bahahahaha! Glad your wife is feeling better. Hope your little man is okay. They are all much better, thanks! Funny (in a cruel kind of way) how everything always happens at once, isn't it? They say it comes in threes though, so watch out! The Kardashian/ spelling bee reference made me almost pee my pants. Thank you for the laugh. Glad your wife is better - I've suffered a similar injury (if you can call it that) and it's no fun. Thanks Alison. That line seemed to be a big hit. Yeah, it wasn't fun for anybody. Thankfully she's much better now. 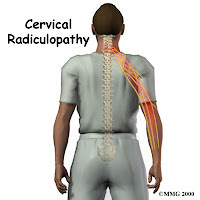 Nerve injuries are the worst! Glad your wife is better and good on you for stepping up. Looks to me like you did a great job. Thanks, Eric! We do what we have to do sometimes, right? You are a witty man. Like some before me, the Kardashian (sp) spelling bee reference was priceless. Nicely done. Thanks! Everybody is feeling much better. The hives were a strange phenomenon as they only occurred after his nap and disappeared after an hour or so. Weird stuff. Glad you liked. Thanks for reading. Look at you, you witty rockstar! Sounds like you handled everything like a pro; and the Kardashian comment -> Superb! Glad your wife is feeling better. I've had that ridiculously annoying problem before too, and it suuucks! Thanks! It wasn't easy, but we made it through to the other side. Watching her in pain made me feel almost as bad as she actually felt. Oh God, I am so sorry. I can relate. No fun. And you had me at Alec Baldwin and Words with Friends. I don't know which made me laugh more the Alec Baldwin dream or imagining a Kardashian at a spelling bee! I'm hoping your wife is better. Thanks Jackie. Everyone is much better now. Not sure I'm up for another week of that quite yet. Well written. Not so fun stuff turned fun. A reminder that if we take it all too seriously, we can drive ourselves nuts! Thanks, Kimberly. I try not to take things too seriously unless absolutely necessary. I'm still laughing, you turned the pain into something very funny. A Kardashian at the spelling bee, he he. Glad your wife feels better and I hope you found out what was causing the hives and the little dude is ok again. The hives were a mystery. Popped up for a few days immediately after nap time and disappeared within an hour each day. Weird stuff. Glad you enjoyed. Thanks for reading. "You're going to make someone a good wife one day." That's what I always tell my husband when he goes above and beyond. Glad that everyone is doing better. I guess that's as good as a gold star. I'll keep it in mind. When listening to the messages on our dog training school voice mail system, I have learned that most of those that begin with something along the lines of "My dog is wonderful and really sweet," usually end CBD oil for dogs a request for help in dealing with an aggression problem. In most cases, the word aggression is not actually mentioned, but referred to in a sort of pet parent code which includes. The report is seen as state of the art on opms kratom as well as recreational use. This article draws heavily on this resource.